« Two kinds of faith; whatever faith we have the Lord will respond: Jairus and the woman with the issue of blood. What must I do to be saved? 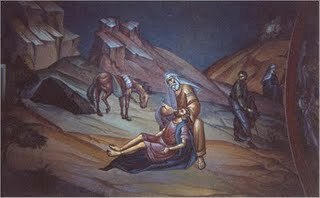 Follow the Greatest commandment and understand how to do this by understanding the Parable of the Good Samaritan. Synopsis: What must I do to be saved? Follow the Greatest commandment and understand how to do this by understanding the Parable of the Good Samaritan. Luke 10:25-37 25 And, behold, a certain lawyer stood up, and tempted him, saying, Master, what shall I do to inherit eternal life? 26 He said unto him, What is written in the law? how readest thou? 27 And he answering said, Thou shalt love the Lord thy God with all thy heart, and with all thy soul, and with all thy strength, and with all thy mind; and thy neighbour as thyself. 28 And he said unto him, Thou hast answered right: this do, and thou shalt live. 29 But he, willing to justify himself, said unto Jesus, And who is my neighbour? 30 And Jesus answering said, A certain man went down from Jerusalem to Jericho, and fell among thieves, which stripped him of his raiment, and wounded him, and departed, leaving him half dead. 31 And by chance there came down a certain priest that way: and when he saw him, he passed by on the other side. 32 And likewise a Levite, when he was at the place, came and looked on him, and passed by on the other side. 33 But a certain Samaritan, as he journeyed, came where he was: and when he saw him, he had compassion on him, 34 And went to him, and bound up his wounds, pouring in oil and wine, and set him on his own beast, and brought him to an inn, and took care of him. 35 And on the morrow when he departed, he took out two pence, and gave them to the host, and said unto him, Take care of him; and whatsoever thou spendest more, when I come again, I will repay thee. 36 Which now of these three, thinkest thou, was neighbour unto him that fell among the thieves? 37 And he said, He that shewed mercy on him. Then said Jesus unto him, Go, and do thou likewise. This entry was posted on Sunday, November 25th, 2012 at 7:37 pm and is filed under Audio homilies, Homilies. You can follow any responses to this entry through the RSS 2.0 feed. You can leave a response, or trackback from your own site.